Best Seller Publishing announces the release of Danielle Formaro’s new book “Add THIS to Your Plate! 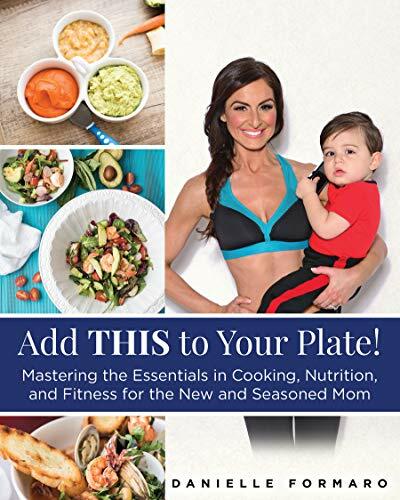 : Mastering the Essentials in Cooking, Nutrition, and Fitness for the New and Seasoned Mom.” It will be available for free download in the Amazon Kindle Store on March 18th. “Add THIS To Your Plate” by Danielle Formaro will be free and available for download on Amazon for 5 days (03/19/2019 – 03/22/2019) at: https://www.amazon.com/dp/B07NQ164VB. “The thing I enjoyed most about this book is that it’s like sitting down with Danielle for a cup of coffee - or espresso! Down to earth, real, daily advice for a healthier lifestyle not just a fad diet. Her recipes are simple in instruction and complex in flavor, and there’s something for everyone. (I’ll take all the truffles please!) The beginning of the book covers cooking basics, must have cool tools and every day terminology which makes this great for someone just starting in the kitchen! But more intricate dishes, like the frutta di mare that’s calling my name, will keep a well versed cook satisfied.” – Lauren P.
“I loved how this book broke it ALL down…meal planning, nutrition and so many other useful tips in the kitchen especially for a busy parent. I would recommend this book to everyone and anyone who enjoys being in the kitchen or just someone who wants to get a better handle on developing healthy lifestyle habits. The recipes look simple enough, but seem to pack a punch with flavor! Can’t wait to make them ALL!” – Teresa L.